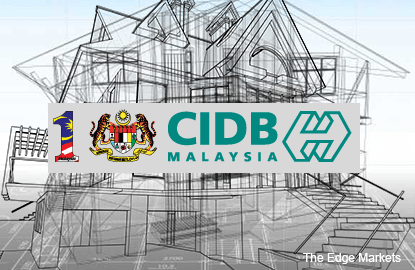 KUALA LUMPUR (April 11): The Malaysian construction industry is expected to grow by 8% in volume this year, underpinned by ongoing mega infrastructure projects, Construction Industry Development Board (CIDB) said. "The volume is expected to increase in 2017 by 8% to RM170 billion," its chief executive Datuk Ahmad Asri Abdul Hamid told a press conference after the opening ceremony of the Eighth Malaysian Construction Summit 2017 themed "Redefining Profit" by Works Minister Datuk Seri Fadillah Yusof today. Last year, the construction sector grew by 7.4% to RM166.4 billion from RM140 billion in 2015, which was up 8.2%. Ahmad Asri said construction numbers, however, fell to 6,305 projects in 2016 from 7,455 projects in 2015. Only 29.1% or RM48.5 million of the projects in 2016 were by the public sector, while 70.9% or RM117.9 billion came from the private sector. Petroliam Nasional Bhd's refinery and petrochemical integrated development in Pengerang, Johor, the Mass Rapid Transit Line 2 in the Klang Valley, the Pan Borneo Highway in Sabah and Sarawak are among major infrastructure projects in Malaysia. Ahmad Asri said such projects will cultivate positive growth and contribute to increasing the country's gross domestic product (GDP) this year. "When you have construction activity booming, it will drive the manufacturing and construction sectors, which in turn will drive the economy. "I think the local economy is currently doing very well and is improving. So, with lots of construction in the pipeline surely it will also contribute to the increase in GDP this year," Ahmad Asri added. Master Builders Association Malaysia president Foo Chek Lee said construction players are now more concerned about increasing their quality, safety and professionalism. "Although there are many quality and safety enhancers and technologies, Malaysia is still lagging behind in fully utilising these methods," he said in his opening remarks at the summit. "This is especially with the ongoing mega projects. It is about time for us to enhance our industry by adopting those technologies despite the high cost of initial implementation," he added.